I love that dress it's gorgeous! ahh, I love this dress, and it's gorgeous on you! very pretty dress! I love the fabric! The dress is gorgeous. Love the necklace, it seems the perfect length and sits just right. What a lovely outfit. The necklace finished it off, just beautifully. Veeeeery nice. Ahhh Arabella I love this dress! Such a gorgeous print. Love the dress' fabric. Lovely. what a gorgeous necklace! Just spend ages looking through Topshop jewellery because of this haha. This dress is amazing and the necklace, shoes and belt set it off perfectly - you always accesorise so well! Ah so so stunning. I love the hints of gold throughout the outfit. Just a gorgeous look all over. Everything about this outfit it flipping amazing - the dress, belt, shoes, necklace! Ahh! Wow this is beautiful! The jewelry really though just blew me away completely! This dress is so gorgeous, and it suits you perfectly! Your style is as always stunning! Gorgeous dress! bought one exactly like it last week! This necklace is lovely, I love it! That necklace is so beautiful!! 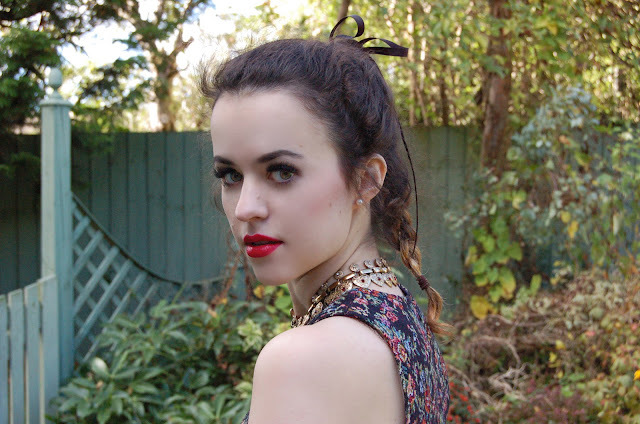 Can't believe it's from Topshop, it looks vintage! 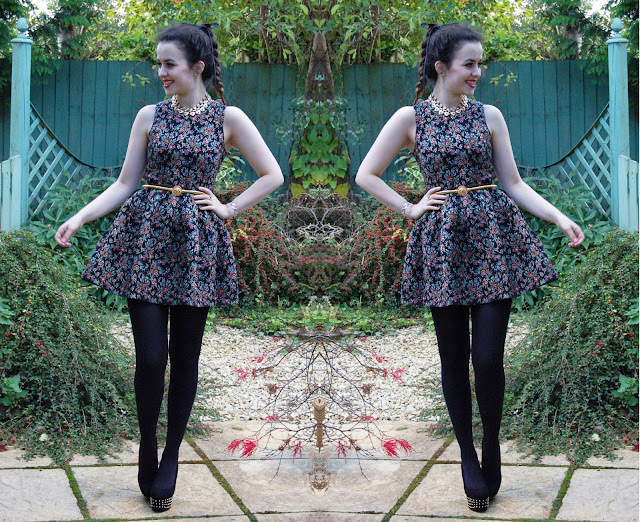 Thank you for the lovely comment on my blog :) I love this dress ! Dahlia is one of my favourite shops <3 And your necklace, omg it's perfect <3 you look stunning <3 So classy, just like modern princess.. Your hair, the necklace, the dress. so nice blog . nice fashion . I love this dress !!!!!!!!!! Really enjoying your posts, this outfit is gorgeous! I love the print on the dress and the necklace and is just delightful! Really enjoying your blog, can't wait for the next post! your eyes are very brightly. in winter you need a Womens Slim Leather Down Coat. more info you can keep attentionto http://www.cwmalls.com. Everything about this look is wonderful. As is your style and blog, instantly followed!